United Stationers, re-branded as Essendant in early 2015, is one of the market leading wholesale distributors of workplace supplies. The company ranked 487 in the list of Fortune 500 companies of 2017. With a network of 68 distribution centers across US, resellers get their orders delivered directly from regional and or local distribution centers. Its inventory features over 160,000 products including office, janitorial and break room supplies, technology products as well as automotive aftermarket tools. In addition, the company also retails industrial tools to end customers. Apart from USA, Essendant also operates in Dubai, United Arab Emirates (UAE). 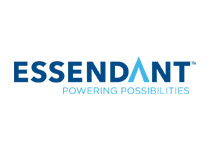 In order to further facilitate customers, Essendant also offers product content subscriptions to exclusively optimized content for a vast array of products and their subsequent categories. The tailored content helps customers with their purchase decisions while improving their shopping experience. The company also provides resellers with advanced sales, marketing and digital tools that enable them to grow with the market. Interested in Essendant Content Feeds? in order to facilitate your customers.